Today, I’m back to demonstrate some more great sewing techniques that I used when making my project. Let me show you how to use 4 features on the Sapphire 930 to improve your sewing. The more I sew with this sewing machine, well – I do not need another sewing machine, but it has handled everything I threw at it with great finesse. Let’s start by talking about speed. Yes – did you know that you can adjust the speed on the Sapphire 930? Just recently I taught a class on free motion quilting and you would be amazed at the number of students who did not realize they could adjust the speed on their sewing machines. The Sapphire 930 comes with FIVE different speed settings. I don’t think you’ll have any trouble finding a speed appropriate for the situation at hand. When I’m doing regular piecing, I never adjust the speed – I leave it at the maximum speed which is the default. 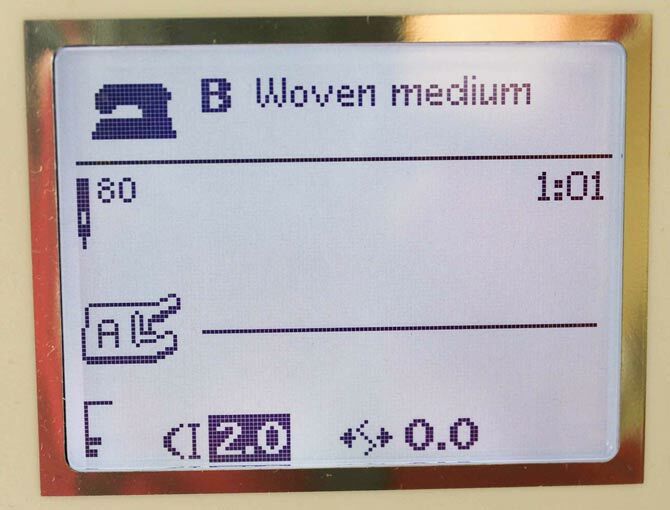 Unlike other sewing machines with a slider speed control, the Sapphire 930 comes with five distinct settings which are controlled by the Speed +/- buttons on the Function Control panel which is just above the needle. 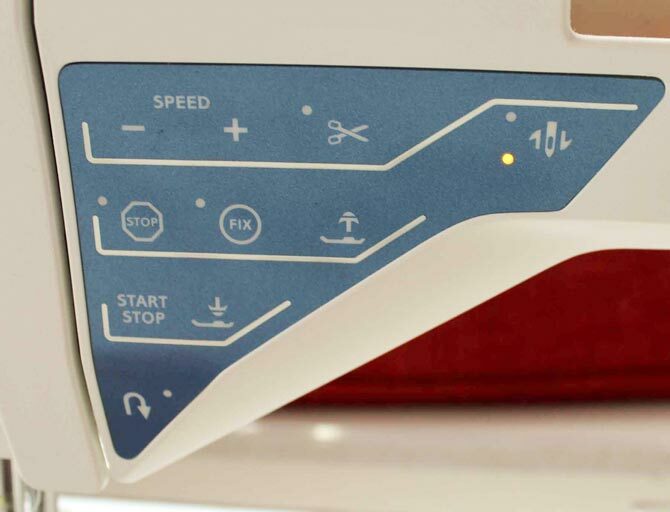 So if you need to change the speed on the fly – the buttons are right at your finger tips. Plus it’s easy to take note of what speed setting you used for a particular technique so you can very easily replicate that setting. If you look at the bottom left hand corner of the Graphic Display, you’ll see five bars. Those five bars represent the five different speed settings. In this next photo – I dropped the speed down to the second slowest setting indicated by the two bars. Now I bet you’re thinking – why would I need to adjust the speed? If you’re doing free-motion quilting, having a preset constant speed is a great thing. Having the speed set at a constant setting saves you from having to worry about how much pressure to apply to the foot pedal, more on that later as we’ll be exploring quilting and free-motion in great depth another week. Where I really like to take advantage of the speed levels is when I’m doing decorative stitches. You’ll see why in a minute. Another useful feature on the function panel is the Start/Stop button. This button will make the Sapphire 930 start to sew without having to use the foot pedal! I’ve seen people who use this feature all the time even for piecing, but I find it too difficult to wrap my head around. However should you arrive at a sewing day and have left your foot pedal at home – do not despair – lower the speed and use the Start/Stop button and you’re in business. Yep – that actually happened. Diane forgot her foot pedal and she was able to use the Start/Stop button to piece all day! Now here’s where I like to combine the functions – if I’m doing decorative stitching which usually means long rows of “boring” stitching, then I lower the speed and use the Start/Stop function. Then all I have to do is guide the fabric. It’s like driving your car with cruise control. If you’ve ever done long distance driving – you know that cruise control is your best friend. Same with sewing those long seams – this combination of functions is awesome. I know – you’re saying to yourself – “I never use decorative stitches. That’s of no use to me.” Well – let’s have a look at where I used decorative stitches on my project. You might want to change your mind! There are 215 built-in stitches on the Sapphire 930. A nice number – not so many as to be overwhelming, but enough to give you a very good selection. The stitches are divided into four menus – Utility Stitches, Quilt Stitches and two menus of decorative stitches. 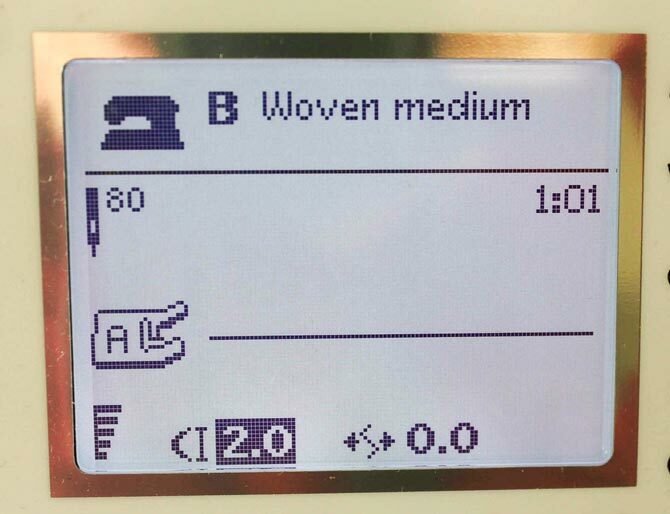 You can create your own stitches by changing the default width and length or create a sequence of stitches and functions such as the Thread Cutter. Those “new” stitches will be saved in a separate menu. There’s an outline of all the utility stitches (57) in the User’s Guide. If you’re new to sewing or quilting or even if you’ve been around for a bit – this is VERY USEFUL information. I learned a LOT by reading through what those stitches are called and what they’re used for. Take a few minutes next time you have a coffee break and read through them – I bet you didn’t realize that you could use some of the things mentioned in there! I know I was shocked when I first read through. Who knew that the Sapphire 930 was so versatile? 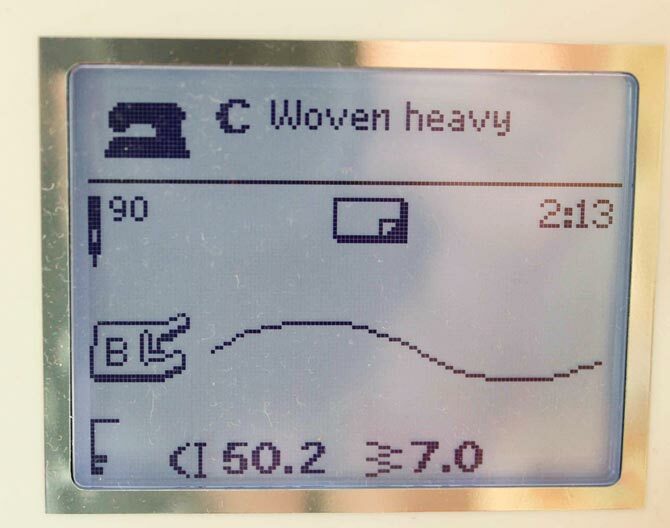 To access the various stitch menus, touch the Stitch Menu button on the Touch Panel (top left blue circle in the photo below). The five menus appear on the screen. Using the navigator arrow buttons, you can choose the appropriate stitch menu and then the appropriate stitch. Touch OK to select. Note the ten most used utility stitches are available right on the screen (bottom left) without having to enter into a stitch menu. 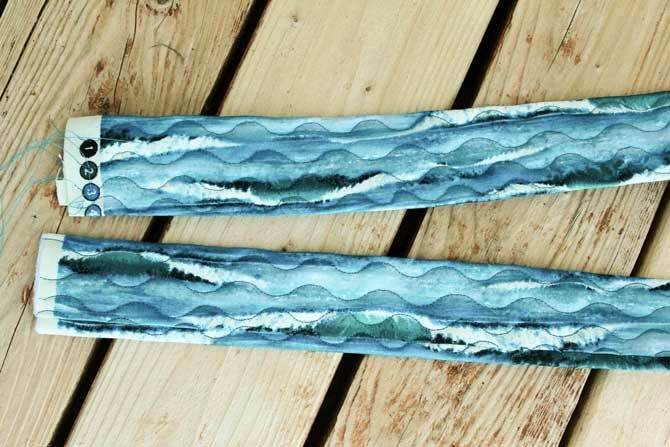 I’m making fabric handles for my tote bag (OK – so I blabbed – my project is a tote bag!) and I like to put stitching on the handles. The more rows of stitching, the firmer the handle and the nicer it feels. Depending on the width of handle, four or five rows of stitching works for me. In this case, I’m making one long handle which I’ll then cut into two pieces. I don’t like long handles that fit over the shoulder. Many years of carrying bags slung over my shoulders and I shudder to think what has happened to my neck. To remain pain free, I make only short handles that I carry on my arm – just like the Queen – or short enough that I can carry in my hand without dragging on the floor! You’ll see tomorrow, but my handle is much thicker than two pieces of fabric – nothing like a limp handle to scream HOME MADE! 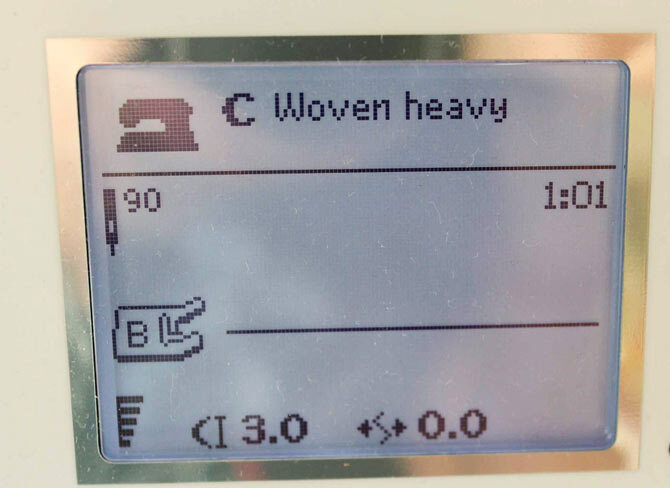 I use the Sewing Advisor to adjust the fabric weight to Woven Heavy. The Sapphire 930 takes care of the tension settings for me. Next up – I’m choosing a stitch to use on my handles. Normally I just use a straight stitch, but it’s time to break out of the comfort zone so in keeping with my themed fabric, I have chosen one of the wave stitches from the Quilt Stitch menu. Stitch 2:13. You can see one stitch repeat on the screen, including the length and width of the stitch repeat. It’s a good idea to always test the stitches BEFORE you start to sew. You may not like the result. I felt the stitch was a bit too wide and the wave too long for my liking so I adjusted the settings accordingly. Don’t worry – I’ll explain how I made my handles tomorrow. Lots of good tips coming. Prepare the handles ready for stitching (in tomorrow’s post). Do some test samples and make appropriate changes to the width and length as necessary. Use the Start/Stop button to “automatically sew those long rows without using the foot pedal. If I wanted to be particular and have all those waves match up in some pattern, I could do that. I would draw a line at the beginning of the handle that would become my start point. I could use the edge of the selvedge since it is pretty straight. 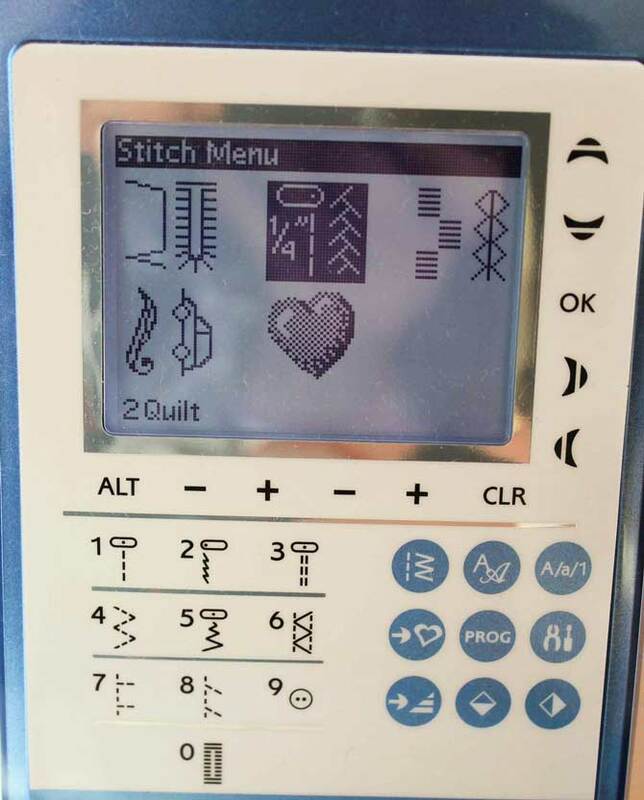 Just before I start each line of stitching, I would hit the Stitch Re-start button on the Touch Panel (bottom left blue circle). When the Sapphire 930 starts to stitch, it’ll start at the beginning of the stitch repeat. Since this handle is for a casual tote bag, I didn’t want the formality of matched stitching. OK – so the use of decorative stitching looks great on the handles, but where else would you use it? Why not use the decorative stitches for quilting? When I make a tote bag, I like to put fusible fleece on the wrong side of the outer part of the bag. In order to give the bag some texture, I like to put some lines of stitching to “quilt” the two pieces together. I looked at the fabric I chose for my carefree tote bag and looked through the stitch menus. What could I choose? 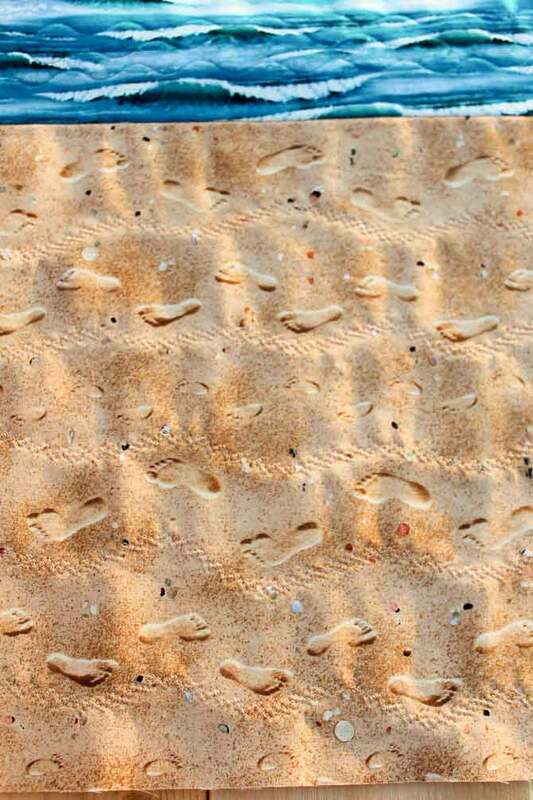 AHA – found a great stitch that reminded me of tracks in the sand at the beach. Stitch number 2:30. Matching the thread color, using Start/Stop function and again lowering the speed, I stitched my way across my tote bag front and back with no problem. Now a strange thing happened when I was stitching. 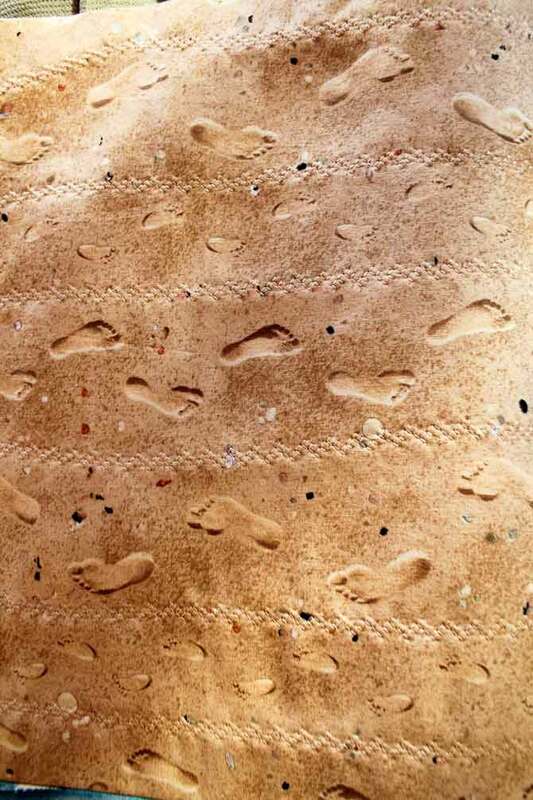 At first, I started to stitch in straight lines between the rows of foot prints. Hmmm – that is pretty boring and predictable. I decided to try swiveling the fabric a bit when I sewed. Hmmmm – that didn’t really make too much difference. By the end of the piece and the last row of stitching – I was getting the hang of the swiveling. So – look at what happened on the other side of the tote bag. I became a bit more “aggressive” with the swivel. In the end, I LOVE the result! I love it so much, that I wish I’d done it on the other side as well. I love learning by experimenting. I’m not going to rip the other side out. It’ll take too long, but I learned something. You can be aggressive with the swivel when using decorative stitches for quilting. Prep the front and back with fusible fleece on the wrong side. Select and test a decorative stitch. Manually swivel the fabric while stitching. Note that I added some decorative stitching in the top part of the tote bag as well. A slight variation of the Stitch 2:13 that was used in the handles. The front and back were a bit wavy when I finished and I simply used a hot iron with steam to press them flat. So far, I’m thrilled with my tote bag and I’m very impressed at how easy it was to do everything on the Husqvarna Viking Sapphire 930. The more you get to use the sewing machine, the more you want to sew to try new things! Oh yes – it becomes a game – how many functions/features can I use and how many can I combine into one step. Oh yes – the possibilities are endless. Those decorative stitches can be used on anything – making little tags for your signature pieces, decorating the top of pockets in bags or clothing, hems on clothing, edging on pillow cases or cushions, quilting through all three layers of a quilt. With the Start/Stop and speed control functions – it will be a cinch to get the results you want! 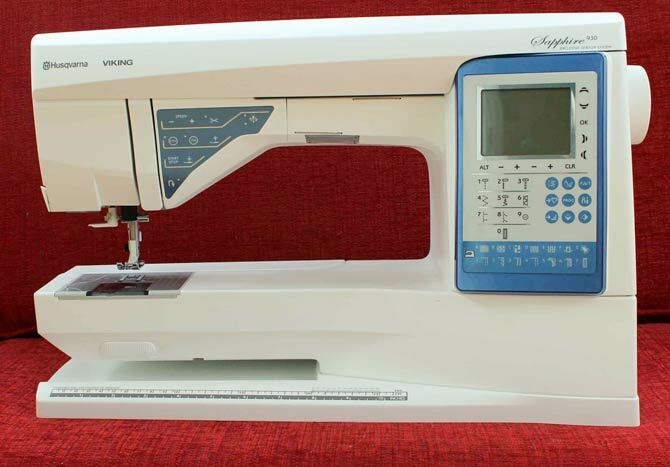 There you have it – another great day of playing with the Husqvarna Viking Sapphire 930 sewing machine. I’m sew excited – I can’t wait to get started on another project. But first we must finish this one. 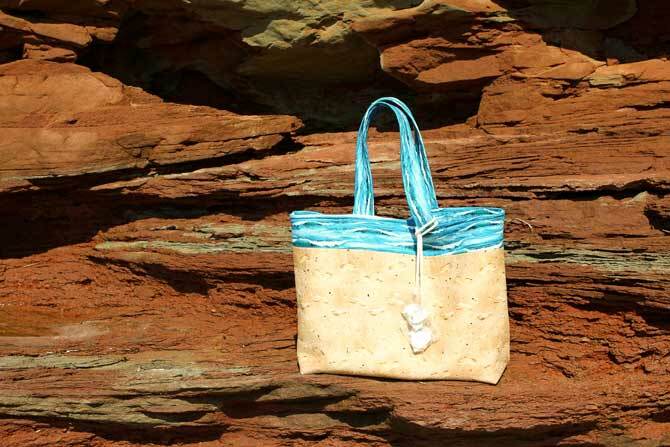 Tomorrow I’ll give you the complete requirements and instructions to make your own tote bag. BUT I shall give you a challenge – do not make yours the same size as mine or use the same embellishments – get creative – experiment with the stitches on your sewing machine. Send me pictures – I’d love to see your creations!!! 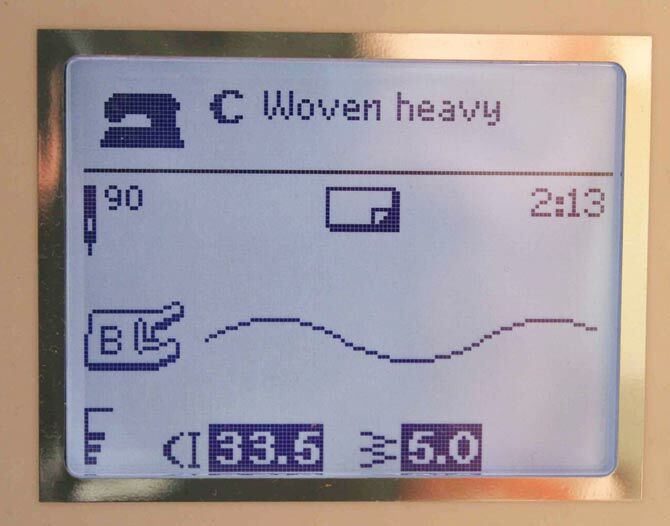 How to use 4 features on the Sapphire 930 to improve your sewing certainly makes a difference in the outcome of the project. Home made is great, but it doesn’t have to look cheap. Have a great day! Ciao! Do you use these 9 good sewing habits?